Enjoy Steve PP acrylic, gouache and watercolour paintings. Explore Steve PP Paintings. Collect Steve PP Art. Some of my favourite things about living on the coast. Early morning walks along the beach , foraging for sights and experiences that will fill my day with ideas for paintings. Watching the sun set off Morte Point with family and friends after a swim or surf in the sea. Rounded off with a tasty feed from the beach cafe then the slow amble home to fall into a deep sun kissed, salt enriched sleep! “A Perfect Day At The Beach” is a series of art prints that sum up how I feel when all of the ingredients come together. 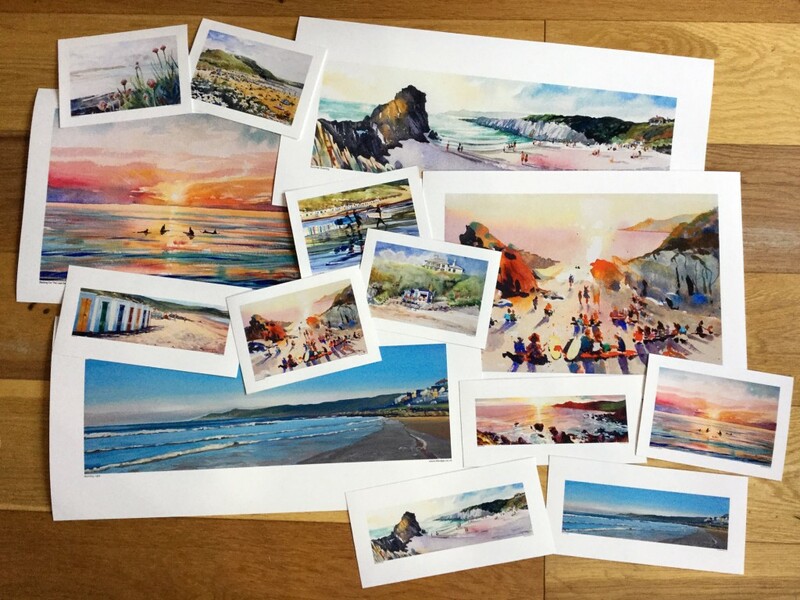 Click on ” A Perfect Day At The Beach” to see the full range of unframed prints. Steve PP works mostly outdoors painting out on location. It’s out amongst the salt air, wide open surf beaches and dramatic sea cliffs that Steve PP is most at home. Subscribe to StevePP’s Colour From The Coast email newsletter. 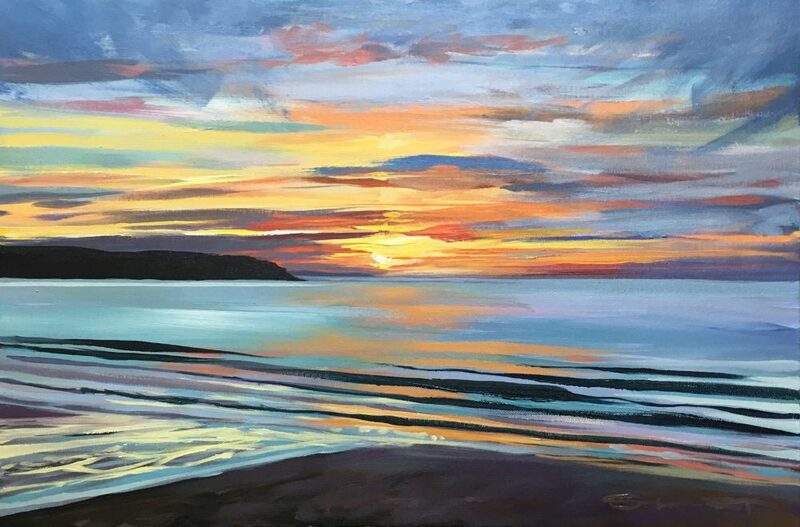 Have every new painting exclusively delivered to your inbox, for private viewing. You also get a chance to win a free art print every month.